TOP PROMO - LENOVO ThinkPad T430 Notebook i5-3320M "refurbished"
What happens to defective media? With regard to your used IT equipment, security has top priority for us! After all, most companies store sensitive data on the end devices, which must not fall into the wrong hands under any circumstances. Our understanding of security begins with the collection of your equipment. The removal of your goods will be personally accompanied by at least one of our employees. 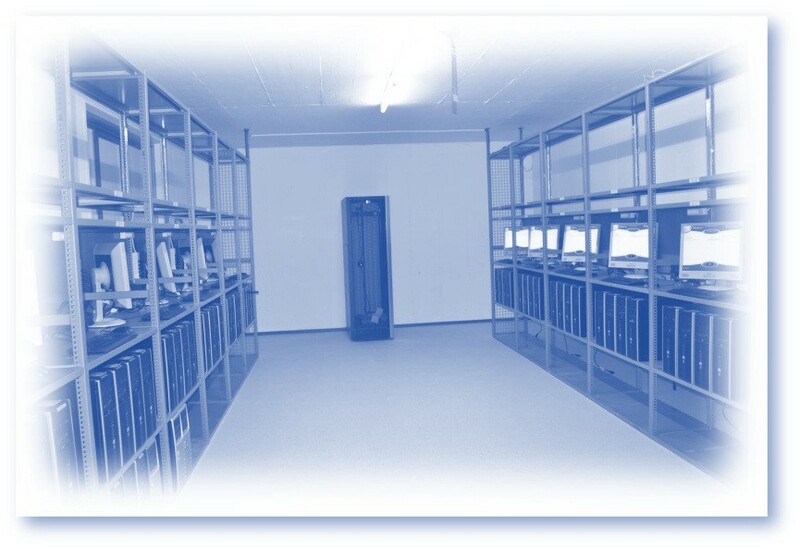 As soon as the delivery arrives at our logistics centre, the relevant devices are immediately stored in our specially secured and monitored data erasure centre until the actual data erasure (wiping). Our specially trained employees carry out the agreed comprehensive data deletion at the earliest possible time. We work according to the guidelines of the US Department of Defence Sanitizing (DOD 5220.22-M). You define the security level of the deletion procedure and receive a revision-proof deletion report after the data has been deleted. We guarantee complete, permanent and reliable data erasure at the highest security level. Traditionally deleted data is often not really permanently destroyed and can be restored easily and without great technical effort. We therefore rely on the leading technologies from CERTUS SOFTWARE, BLANCCO and WHITE CANYON, which permanently and irretrievably delete your data and then document the deletion in an audit-proof manner. The deletion applications we use overwrite the entire hard disk content up to seven times with unusable data. Data deleted with these methods cannot be restored with any existing method. All data from individual hard disks as well as from PC and notebook systems can be deleted in our data erasure centre. Defective data carriers and storage media that cannot be deleted by software are physically destroyed (shredded) by us. You will receive an appropriate destruction certificate for such cases on request. 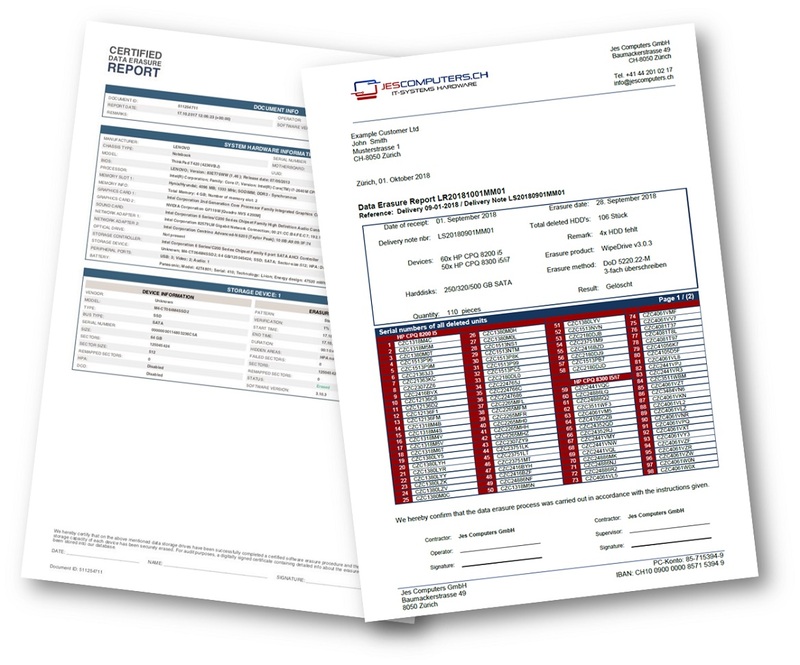 Depending on the needs of our customers, we offer different deletion methods, but also various reports. Often our customers just need a Jes Computers internal deletion report (see also picture below), but also automatically generated certificates on the level of individual deleted data carriers are easily feasible.